Start What is Deep Learning? Deep learning is an emerging topic in artificial intelligence (AI). A subcategory of machine learning, deep learning deals with the use of neural networks to improve things like speech recognition, computer vision, and natural language processing. It’s quickly becoming one of the most sought-after fields in computer science. In the last few years, deep learning has helped forge advances in areas as diverse as object perception, machine translation, and voice recognition-all research topics that have long been difficult for AI researchers to crack. In information technology, a neural network is a system of programs and data structures that approximates the operation of the human brain. 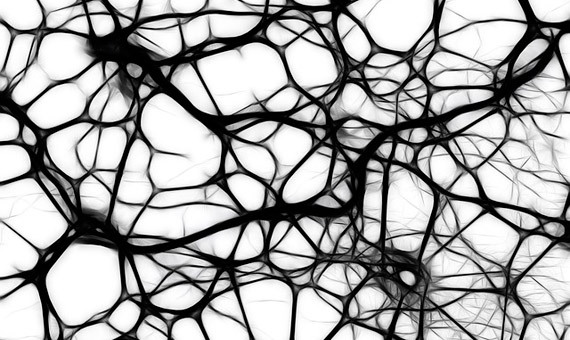 A neural network usually involves a large number of processors operating in parallel, each with its own small sphere of knowledge and access to data in its local memory. Typically, a neural network is initially “trained” or fed large amounts of data and rules about data relationships (for example, “A grandfather is older than a person’s father”). A program can then tell the network how to behave in response to an external stimulus (for example, to input from a computer user who is interacting with the network) or can initiate activity on its own (within the limits of its access to the external world). To understand what deep learning is, it’s first important to distinguish it from other disciplines within the field of AI. One outgrowth of AI was machine learning, in which the computer extracts knowledge through supervised experience. This typically involved a human operator helping the machine learn by giving it hundreds or thousands of training examples, and manually correcting its mistakes. While machine learning has become dominant within the field of AI, it does have its problems. For one thing, it’s massively time consuming. For another, it’s still not a true measure of machine intelligence since it relies on human ingenuity to come up with the abstractions that allow computer to learn. Unlike machine learning, deep learning is mostly unsupervised. It involves, for example, creating large-scale neural nets that allow the computer to learn and “think” by itself without the need for direct human intervention. Deep learning “really doesn’t look like a computer program,” says Gary Marcus a psychologist and AI expert at New York University, he says ordinary computer code is written in very strict logical steps. “But what you’ll see in deep learning is something different; you don’t have a lot of instructions that say: ‘If one thing is true do this other thing,’ ” he says. Instead of linear logic, deep learning is based on theories of how the human brain works. The program is made of tangled layers of interconnected nodes. It learns by rearranging connections between nodes after each new experience. In 2011, Google started Google Brain project, which created a neural network trained with deep learning algorithms, which famously proved capable of recognizing high level concepts. Last year, Facebook established AI Research Unit, using deep learning expertise to help create solutions that will better identify faces and objects in the 350 million photos and videos uploaded to Facebook each day. An example of deep learning in action is voice recognition like Google Now and Apple’s Siri. Deep Learning is showing a great deal of promise, making self-driving cars and robotic butlers a real possibility. They are still limited, but what they can do was unthinkable just a few years ago, and it’s advancing at an unprecedented pace. The ability to analyze massive data sets and use deep learning in computer systems that can adapt to experience, rather than depending on a human programmer, will lead to breakthroughs. These range from drug discovery to the development of new materials to robots with a greater awareness of the world around them. Maybe that will explain why Google has been on a buying spree lately and robotics companies have been at the top of its shopping list. They have purchased eight robotics companies in a matter of months. Read the original article published in Ahmed Banafa’s LinkedIn profile.